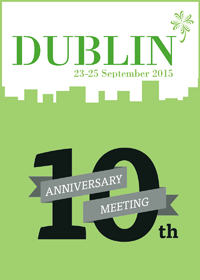 ESCP's 10th Scientific and Annual Meeting took place from 22-25 September 2015 in Dublin. View the scientific program here or download the final program (PDF 3.1MB) here. The meeting was supported by a wide range of sponsors and exhibitors. Conference presentation videos are available to members in the Resource Library.